"Prince Rainier" redirects here. For the Hungarian nobleman, see Prince Rainer of Saxe-Coburg and Gotha. 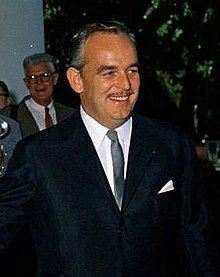 Prince Rainier III (Rainier Louis Henri Maxence Bertrand Grimaldi; 31 May 1923 – 6 April 2005) ruled the Principality of Monaco for almost 56 years, making him one of the longest ruling monarchs in European history. 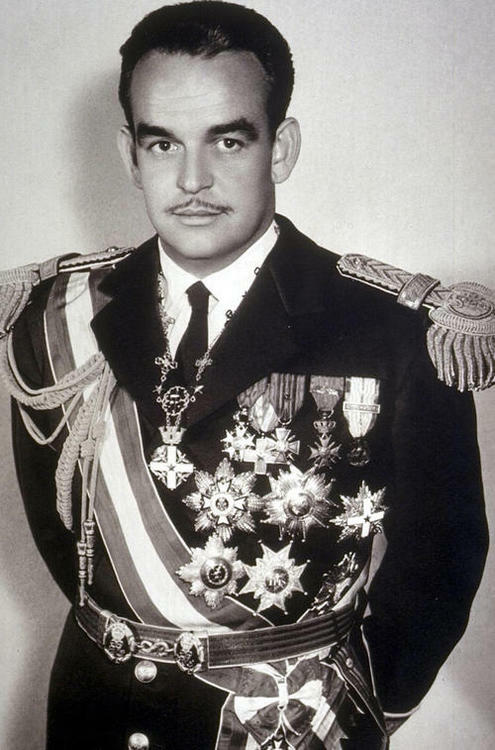 Though internationally known for his marriage to American actress Grace Kelly, he was also responsible for reforms to Monaco's constitution and for expanding the principality's economy from its traditional casino gambling base to its current tax haven role. Gambling accounts for only approximately three percent of the nation's annual revenue today; when Rainier ascended the throne in 1949, it accounted for more than 95 percent. Rainier was born at Prince's Palace in Monaco, the only son of Princess Charlotte, Duchess of Valentinois, and her husband, Prince Pierre, Duke of Valentinois. Rainier was the first native-born prince since Honoré IV in 1758. Rainier's mother was the only child of Louis II, Prince of Monaco, and Marie Juliette Louvet; she was legitimized through formal adoption and subsequently named heir presumptive to the throne of Monaco. 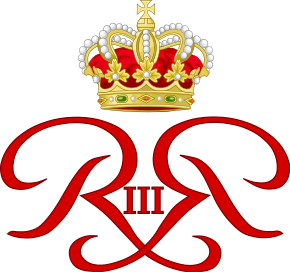 Rainier's father was a half-French, half-Mexican who adopted his wife's dynasty, Grimaldi, upon marriage and was made a Prince of Monaco by marriage by Prince Louis, his father-in-law. Rainier had one sibling, Princess Antoinette, Baroness of Massy. Rainier's early education was conducted in England, at the prestigious public schools of Summerfields in St Leonards-on-Sea, Sussex, and later at Stowe, in Buckinghamshire. After England, Rainier attended the Institut Le Rosey in Rolle and Gstaad, Switzerland from 1939, before continuing to the University of Montpellier in France, where he obtained a Bachelor of Arts degree in 1943, and finally to the Institut d'études politiques de Paris in Paris. In 1944, upon his 21st birthday, Rainier's mother renounced her right to the Monegasque throne and Rainier became Prince Louis's direct heir. In World War II Rainier joined the Free French Army in September 1944, and serving under General de Monsabert as a second lieutenant, and seeing action during the German counter-offensive in Alsace. He received the French Croix de Guerre with bronze star (representing a brigade level citation) and was given the rank of Chevalier in the French Legion of Honor in 1947. Following his decommission from the French Army, he was promoted by the French government as a captain in April 1949 and a colonel in December 1954. In the 1940s and 1950s, Rainier had a ten-year relationship with the French film actress Gisèle Pascal, whom he had met while a student at Montpellier University, and the couple lived at Saint-Jean-Cap-Ferrat. Rainier's sister, Princess Antoinette, wishing her own son to ascend the throne, spread rumours that Pascal was infertile. The rumours combined with a snobbery over Pascal's family origins ultimately ended the relationship. 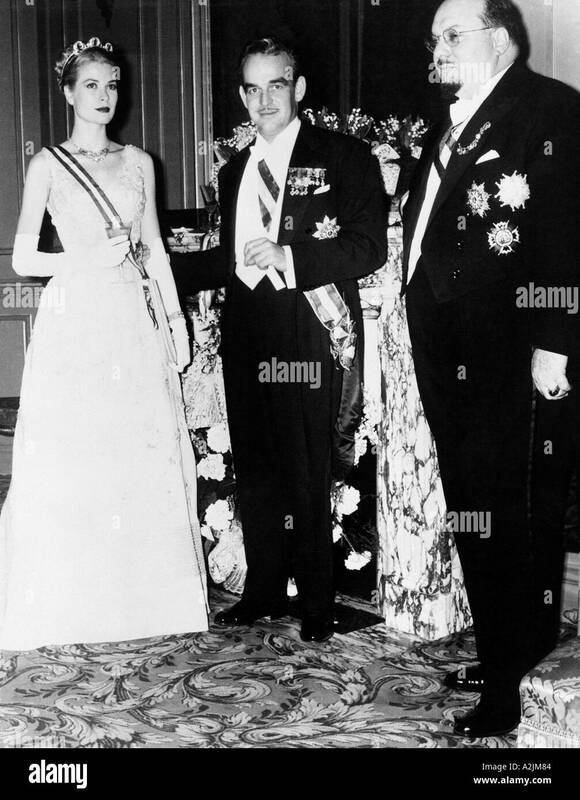 Rainier became the Sovereign Prince of Monaco on the death of Louis II on 9 May 1949. After ascending the throne, Rainier worked assiduously to recoup Monaco's lustre, which had become tarnished through neglect (especially financial) and scandal (his mother, Princess Charlotte, took a noted jewel thief known as René the Cane as her lover). According to numerous obituaries, the prince was faced upon his ascension with a treasury that was practically empty. The small nation's traditional gambling clientele, largely European aristocrats, found themselves with reduced funds after World War II. Other gambling centers had opened to compete with Monaco, many of them successfully. To compensate for this loss of income, Rainier decided to promote Monaco as a tax haven, commercial center, real-estate development opportunity, and international tourist attraction. The early years of his reign saw the overweening involvement of the Greek shipping tycoon Aristotle Onassis, who took control of the Société des Bains de Mer (SBM) and envisioned Monaco as solely a gambling resort. 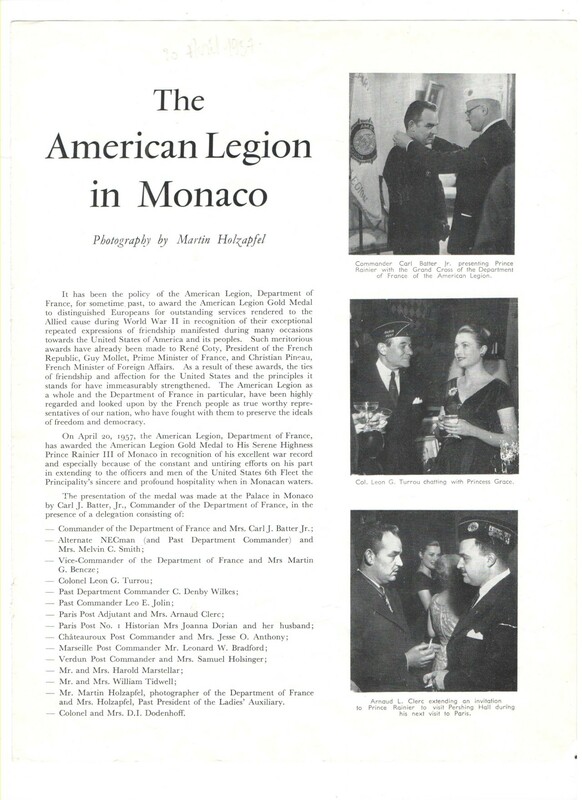 Prince Rainier regained control of SBM in 1964, effectively ensuring that his vision of Monaco would be implemented. 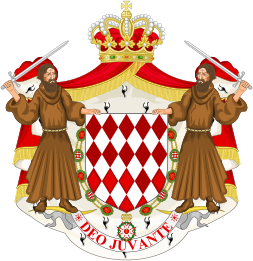 In addition, the Societé Monégasque de Banques et de Métaux Précieux, a bank which held a significant amount of Monaco's capital, was bankrupted by its investments in a media company in 1955, leading to the resignation of Monaco's cabinet. 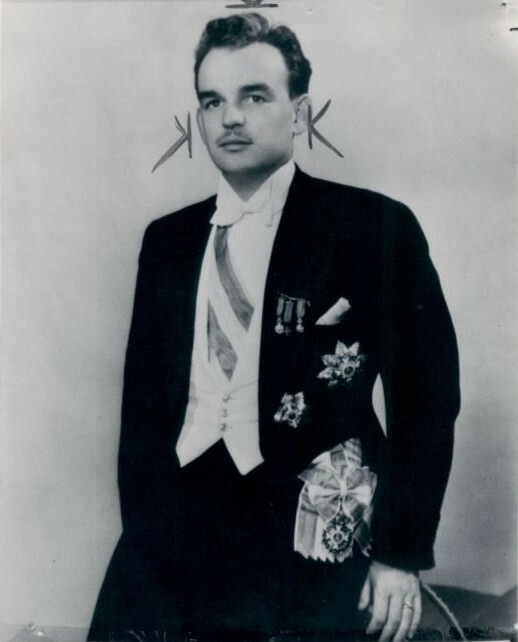 As Prince of Monaco, Rainier was also responsible for the principality's new constitution in 1962 which significantly reduced the power of the sovereign. (He suspended the previous constitution in 1959, saying that it "has hindered the administrative and political life of the country.") The changes ended autocratic rule, placing power with the prince and a National Council of eighteen elected members. At the time of his death, he was the world's second longest-serving living head of state (independent), ranking just below the King of Thailand, Bhumibol Adulyadej. Princess Stéphanie, born 1 February 1965. 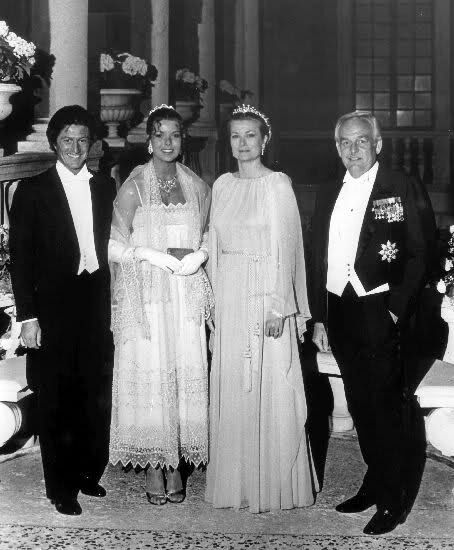 In 1979, Prince Rainier made his acting debut alongside his wife Grace in a 33-minute independent film called Rearranged, produced in Monaco. According to co-star Edward Meeks, after premiering it in Monaco, Grace showed it to ABC TV executives in New York in 1982, who expressed interest if extra scenes were shot to make it an hour long. However, Grace died in a car crash caused by a stroke in 1982, making it impossible to expand the film for American release. Rainier then may have been romantically involved with his second cousin, Princess Ira von Fürstenberg, a former actress turned jewellery designer, who is also a Fiat heiress and the former sister-in-law of fashion designer Diane von Fürstenberg. 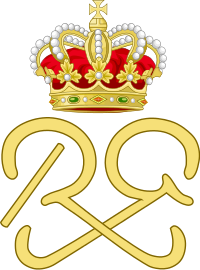 Princess Ira, like him, is a great-grandchild of Lady Mary Victoria Hamilton, the Scottish-German wife of Prince Albert I of Monaco, though by Lady Mary's second marriage. After Grace's death, Rainier refused to remarry. Rainier established a postal museum in 1950: the Museum of Stamps and Coins, in Monaco's Fontvieille district by using the collections of the Monegasque princes Albert I and Louis II. The prestigious philatelic collectors club Club de Monte-Carlo de l'Élite de la Philatélie was established under his patronage in 1999; the club has its headquarters at the museum, with its membership restricted to institutions and one hundred prestigious collectors. Rainier organized exhibitions of rare and exceptional postage stamps and letters with the club's members. Throughout his reign, Rainier surveyed all the process of creation of Monaco stamps. He liked stamps printed in intaglio and the art of engravers Henri Cheffer and Czesław Słania. Rainier's car collection was opened to the public as the Monaco Top Cars Collection in Fontvieille. Prince Rainier smoked 60 cigarettes a day. In the last years of his life his health progressively declined. He underwent surgery in late 1999 and 2000, and was hospitalized in November 2002 for a chest infection. He spent three weeks in hospital in January 2004 for what was described as general fatigue. In February 2004, he was hospitalized with a coronary lesion and a damaged blood vessel. In October he was again in hospital with a lung infection. In November of that year, Prince Albert appeared on CNN's Larry King Live and told Larry King that his father was fine, though he was suffering from bronchitis. On 7 March 2005, he was again hospitalized with a lung infection. Rainier was moved to the hospital's intensive care unit on 22 March. One day later, on 23 March, it was announced he was on a ventilator, suffering from renal and heart failure. On 26 March, the palace reported that despite intensive ongoing efforts to improve the prince's health, he was continuing to deteriorate; however, the following day, he was reported to be conscious, his heart and kidney conditions having stabilized. His prognosis remained "very reserved". On 31 March 2005, following consultation with the Crown Council of Monaco, the Palais Princier announced that Rainier's son, Hereditary Prince Albert, would take over the duties of his father as regent since Rainier was no longer able to exercise his royal functions. On 1 April 2005, the Palace announced that Rainier's doctors believe his chances of recovery were "slim". On 6 April, Prince Rainier died at the Cardiothoracic Center of Monaco at 6:35 am local time at the age of 81. He was succeeded by his only son, who became Prince Albert II. 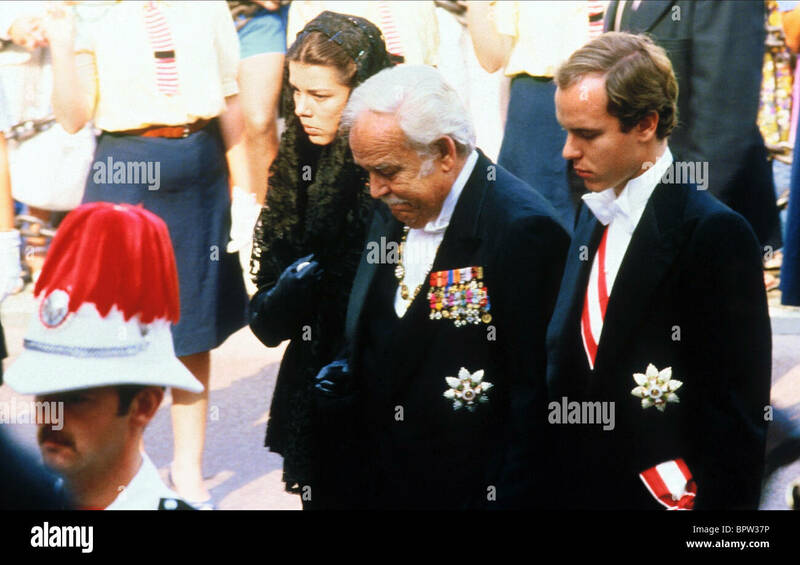 He was buried on 15 April 2005, beside his wife, Princess Grace, at the Cathedral of Our Lady Immaculate, the resting place of previous sovereign princes of Monaco and several of their wives, and the place where Prince Rainier and Princess Grace had been married in 1956. Because his death occurred shortly after that of Pope John Paul II, Rainier's death was overshadowed in the media. 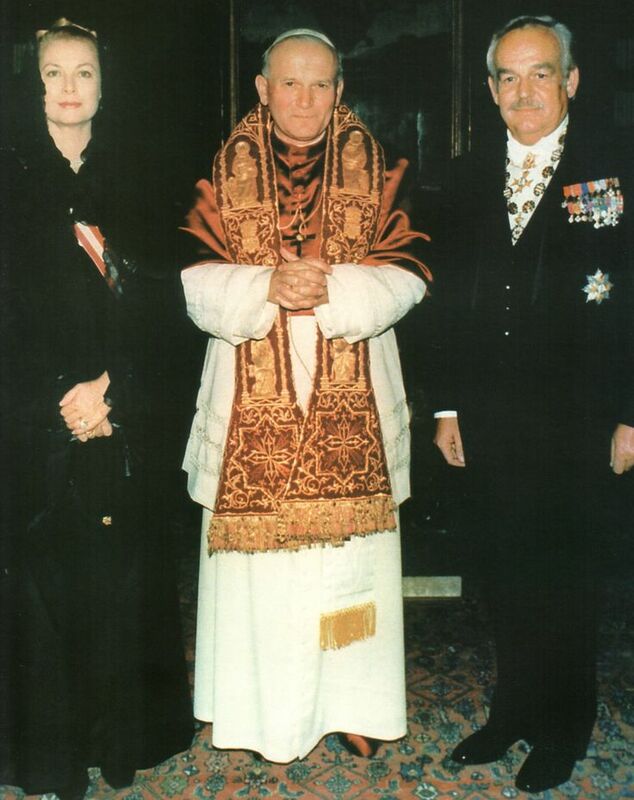 ^ "Prince Rainier III of Monaco". The Daily Telegraph. London. 7 April 2005. ^ "Obituary: Giselle Pascal". The Independent. 8 February 2007. Retrieved 11 January 2014. 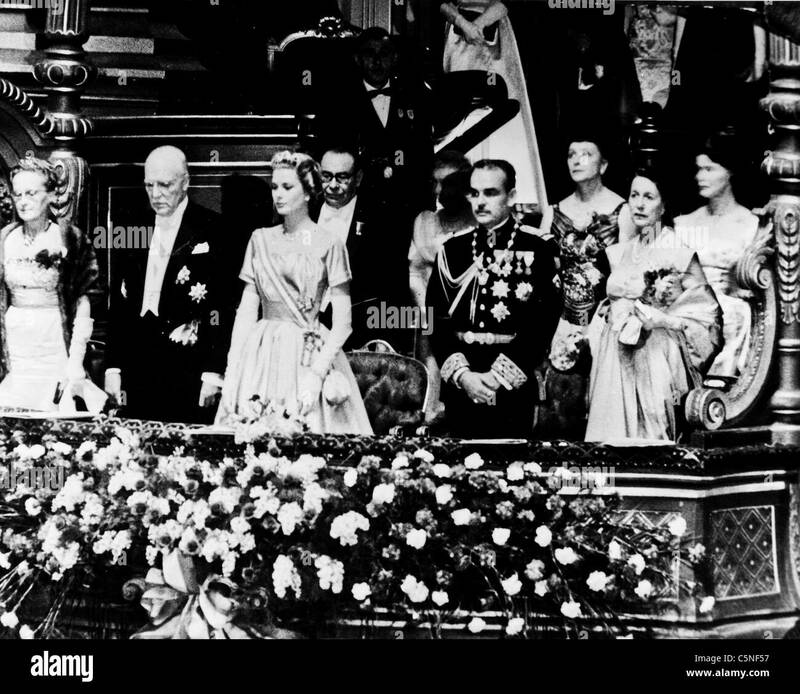 ^ 1956: Prince Rainier marries Grace Kelly, BBC: On This Day. Accessed 31 May 2008. ^ "Rearranged (1982)". IMDb.com. Retrieved 7 March 2017. ^ "CNN.com – Transcripts". Transcripts.cnn.com. 15 April 2005. Retrieved 7 March 2017. ^ Thilo Wydra (18 November 2014). "Grace: A Biography". Books.google.ca. Retrieved 7 March 2017. ^ Dennis Barker. 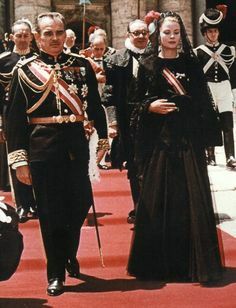 "Prince Rainier of Monaco | World news". theguardian.com. Retrieved 9 May 2014. ^ a b "Monaco: Refreshing Rainier". Stamp Magazine. Retrieved 4 August 2014. ^ a b "Museums". Why 100 of the world's top collectors will be in Monaco this weekend. Paul Fraser Collectibles. Archived from the original on 15 August 2014. Retrieved 4 August 2014. ^ "Monaco Top Cars Collection". FIA Heritage Museums. FIA. Retrieved 4 August 2014. ^ Dennis Barker. 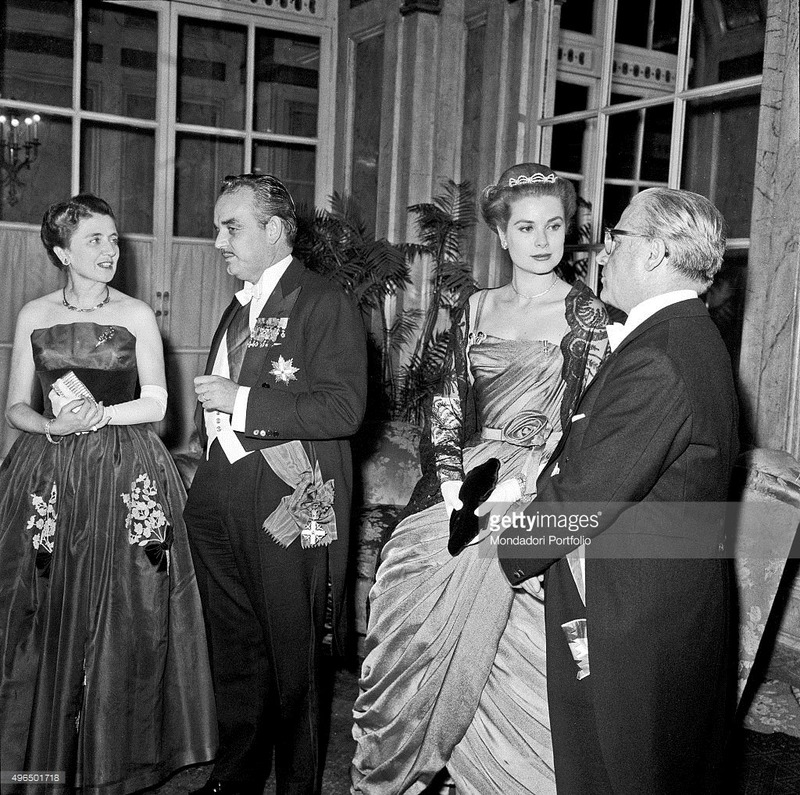 "Prince Rainier of Monaco | News". The Guardian. Retrieved 7 March 2017. ^ "Prince Rainier moved to intensive care – World news – Europe". NBC News. 22 March 2005. Retrieved 9 May 2014. 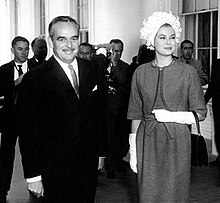 ^ "Prince Rainier III, 81; Ruler Transformed Monaco, Made Grace Kelly His Princess – Los Angeles Times". Articles.latimes.com. 7 April 2005. Retrieved 9 May 2014. ^ Interview With Prince Albert of Monaco, CNN, 18 November 2004. Accessed 31 May 2008. ^ "Rainier's condition 'stabilises'". BBC News. 27 March 2005. Retrieved 18 August 2008. 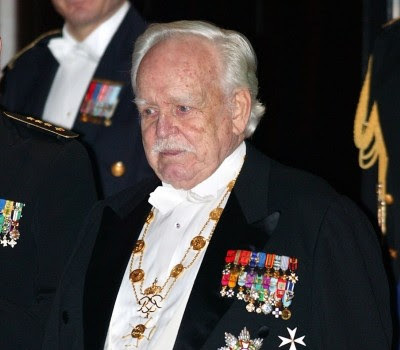 ^ "Monaco's Prince Rainier, 81, dies". BBC News. 6 April 2005. Retrieved 18 August 2008. ^ "Monaco Cathedral". Service Informatique du Ministère d'Etat (Monaco Minister of State Information Service). 28 July 2008. Archived from the original on 23 June 2008. Retrieved 18 August 2008. ^ a b Randall, Colin (16 April 2005). "Monaco's farewell to its sovereign and friend". London: The Daily Telegraph. Retrieved 18 August 2008. ^ a b c d e f g h i j k l m n o p q r s t u v w x y z aa ab "Rainier wearing the miniature medals" (JPG). Alamy.com. Retrieved 7 March 2017. ^ a b c d e f g h i j k l m n o p q r s t u v w x y z aa ab "Rainier wearing the miniature medals and Chain of the order of Grimaldi" (JPG). Alamy.com. Retrieved 7 March 2017. ^ a b "Rainier wearing orders" (JPG). Blogspot.com. Retrieved 7 March 2017. ^ a b c d e f g h i j k "Rainier wearing national and foreign orders" (JPG). Tumblr.com. Retrieved 7 March 2017. 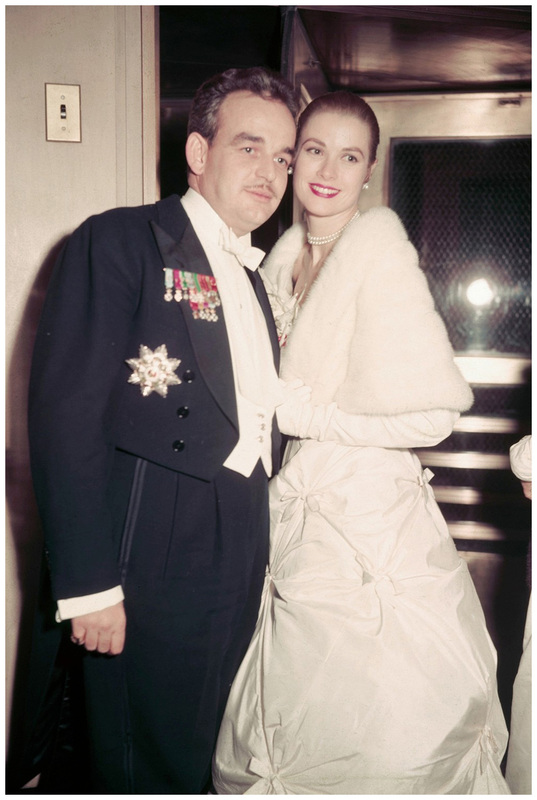 ^ "Grace Kelly American Actress Who Left Hollywood Behind to Marry Prince Rainier of Monaco : They Are Together here at the Monte Carlo Ball 1956" (JPG). Pleasurephoto.files.wordpress.com. Retrieved 7 March 2017. ^ "Photographic image" (JPG). S-media-cache-ak0.pinimg.com. Retrieved 7 March 2017. ^ "Photographic image" (JPG). C7.alamy.com. Retrieved 7 March 2017. ^ a b Chiavassa, Henri (1964). The History of the Principality of Monaco as Seen Through its Postage Stamps. Monaco: Postage Stamp Issuing Office. Retrieved 28 December 2018. ^ "Photographic image" (JPG). Angelfire.com. Retrieved 7 March 2017. ^ "Photographic image" (JPG). 40.media.tumblr.com. Retrieved 7 March 2017. ^ a b "Rainier wearing his Italian orders". Gettyimages.cm. Retrieved 7 March 2017. ^ "Le onorificenze della Repubblica Italiana". Quirinale.it. 30 May 1953. Retrieved 7 March 2017. ^ "Photographic image" (JPG). S-media-cache.ak0.pinimg.com. Retrieved 7 March 2017. ^ "CIDADÃOS ESTRANGEIROS AGRACIADOS COM ORDENS PORTUGUESAS – Página Oficial das Ordens Honoríficas Portuguesas". Ordens.presidencia.pt. Retrieved 7 March 2017.